Transform your garage into a space that’s worth utilizing. 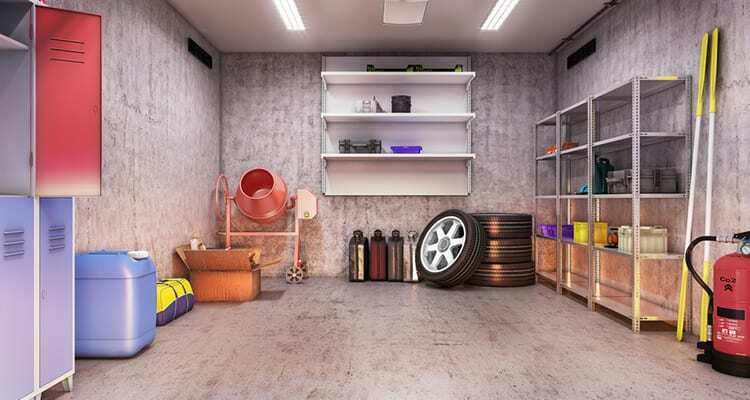 Give your garage a space that’s more than just keeping vehicles and extra storage in. A garage serves as many functions; a workshop, a home gym, a man cave, a home office, or just a storage space. But doing this requires as much space possible if you found somewhere else to park your car or not. Whether your garage is a single, double, or triple car garage, the possibilities of maximizing its space are endless. Follow these six tips and tricks to get your garage space working for you. Consider hanging storage units or even a bike lift installed to your garage ceiling. This works wonders for storing big and bulky items like storage boxes, containers, bikes, gardening equipment, and more! With technology on top of its game lately, they have electronic functioning ones that can bring the shelving unit down from the touch of a remote. Investing the time and money to install a storage wall system that works for you makes all the difference. Cabinets, wall organizers, and adjustable shelving work best for keeping your work tools, appliances, and gadgets organized and stowed away. Remember, a clean space makes space look a lot more extensive than a cluttered space. A garage workshop is not complete without a work folding bench. Put your garage to work whenever needed just by installing the bench to your wall without sacrificing any space. This maximizes a whole lot of space because unlike a traditional table, they can take up a whole area when in use or not. Don’t forget the little things that matter. Consider using magnetic boards, pegboards, hooks, zip ties and drawer organizers to safely store the smallest of tools and implements. You’ll never lose a bolt ever again! If you don’t like the look of bulky gardening tools and machines in your garage, consider an outside storage to maximize storage in your garage instead. Even though you may have to invest more in an additional storage unit, at least you’ll have a lot more room to utilize in your garage. Your home is what you make it and that includes your garage! People have turned garages into offices, home gyms, workshops, and even man caves. Your possibilities to transforming a space into a room that will be utilized are endless. You just need to figure out where to park your car!